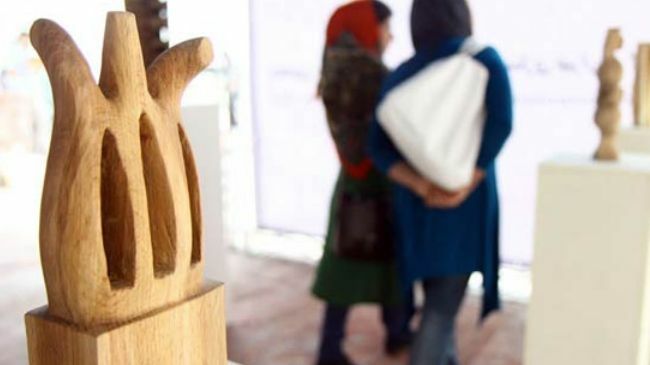 The fifth edition of Tehran International Wood Sculpture Symposium has hailed this year’s winners during a closing ceremony held at the Iranian Artists Forum (IAF). Several Iranian sculptors along with six foreign artists were honored at the award ceremony held on May 15, 2013. Iranian wooden sculpture masters Jamshid Moradian and Mohammad-Hossein Emad who attended the symposium as the guests of honor, were also lauded at the ceremony. The event titled ‘Persian Gulf Memorial’ hosted a number of Iranian and international sculptors in two main and student sections. Petre Petrov, Rumen Mihov Dimitrov, and NIkolay Yotov from Bulgaria, Fernando Alvarez from Spain, Lenny Ratnasari Weichert from Indonesia, Christian Rey from Uruguay, and Mauricio Guajardo Rubio from Chile were the foreign artists who participated in the symposium. Mohammad Marvasti, Marziyeh Mirmotahari, Mahdi Rangchi, Mahdi Ashouri, Fatemeh Majidi, Samaneh Reyhani, Ali Vaziri, Pejman Olumi, Morteza Baqeri Moslehabadi and Reza Hassanzadeh are the Iranian sculptors who competed at the year’s Tehran Sculpture Symposium. Some 10 students also took part in the event during which each sculptor was supplied with a beech tree trunk. Organized by Tehran’s Beautification Organization, the annual event aims at stimulating development and promotion in the art of sculpture as well as urban environment beautification in Iran. The fifth Tehran Wood Sculpture Symposium kicked off at Tehran’s Norouz Park on May 4 and came to an end on May 15, 2013.